The Eastern and Southern African Trade and Development Bank commonly known as PTA Bank is an African regional development financial institution established in 1985. The Bank’s mandate is to finance and foster trade, socio-economic development and regional economic integration across its Member States. 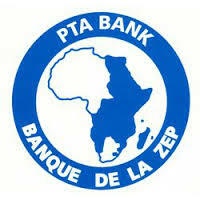 Although PTA Bank is an institution of the Common Market for Eastern and Southern Africa (COMESA), its membership is open to Non-COMESA States, non-regional countries as well as institutional shareholders. PTA Bank’s investments cut across agriculture, trade, industry, infrastructure, energy and tourism, among others and are made on a commercial basis and sustainability principles.